SUIHUA UNIVERSITY is a local comprehensive public university authorized by the Chinese Ministry of Education, which is located in Suihua City, the second largest city in Hei Longjiang Province. As a land of green products of black soil in a cold region of China, Suihua city is adjacent to Harbin, the Capital of Hei Longjiang Province, and the distance from Harbin to Suihua is about 70 kilometers. Suihua University has a long history. Approved by the Education Department of Hei Longjiang in 1953, Suihua University was founded as the former Suihua Normal School. It was later named “Suihua District Normal School” in 1971. Approved by the State Council in 1978, it was officially renamed as “Suihua Normal Institution”. In the same year, it was listed as one of the first colleges and universities supervised after the “Cultural Revolution” in China. In 2004, it passed the evaluation process of Undergraduate education directed by the Ministry of Education, and was officially named “Suihua University”. Suihua University is a research, teaching, and multidisciplinary comprehensive institution, which comprises 14 colleges and departments. Suihua University has several major disciplines which include: literature, education, management, science, agriculture and technology, etc. ; and also provides 27 undergraduate programs including 44 directions. In all, there are 9,633 students from 21 provinces of China with many different backgrounds who total the student population. Presently, the university apprizes a staff of nearly 771 members, in which there are 508 full-time teachers including 165 professors or associate professors, 260 holding master or doctorate degrees, 12 foreign teachers and 3 experts who favorably experience special government allowances. The University has a beautiful campus covering an area of about 400,000 square meters with a total space of buildings of about 200,000 square meters. It possesses advanced teaching facilities and a sound educational environment with laboratory apparatus and equipments totaling 40 million Yuan. The University has teaching buildings with the vitality and alacrity of multimedia, laboratory building with advanced instruments and teaching and research facilities as digitalized campus network. In addition, the modern library with over 800,000 books has established an IT application-oriented academic information service system featuring flexible modes of service, advanced means of management and distinctive collections of books. In order to offer a comfortable working and living environment to students, many spacious facilities for leisure and living were constructed such as student’s flats with complete guarantee, food service center, supermarket, stadiums and gymnasiums and an artificial lake. The University gains acclaim for its excellent quality of teaching. Taking “Social Commitment and Practical Administration” as its motto, Suihua University continuously reinforces reforms in education and strengthens the administration of teaching by seeking the all-round improvement in students’ moral, intellectual, physical and aesthetic qualities. We also aim to nurture high-level specialists with solid academic foundations, instilling good qualities and abilities of practice and innovation. The quality of education and teaching has improved steadily. In the university, provincial specialty contains majors of Chinese Language and Literature and of Mathematics and Application Mathematics which is also a national characteristic feature. There are five provincial Good Courses, 2 provincial Excellent Teaching Groups and 2 provincial Experiment Teaching Demonstration Centers. The University was awarded the National Excellent Teaching Award twice. The University attaches great importance to and actively conducts academic and cultural exchanges with overseas institutions. At present, it has established links with 3 universities, academic institutions in Russia which include Khabarovsk National Normal University, Amour National University and Blagoveshchensk National Normal University. The University attaches importance to service local development. One such example, it is carrying-on joint development initiatives with the counties of Lanxi and Qing’an, etc., and offers technical support to enterprises and government institutions in areas under its jurisdiction through the Science and Technology Board of Suihua City. Another such example, competent students in the University are regularly sent to an impoverished county school in Hei Longjiang province so as to develop the level of local education and treat children of migrant workers with care. 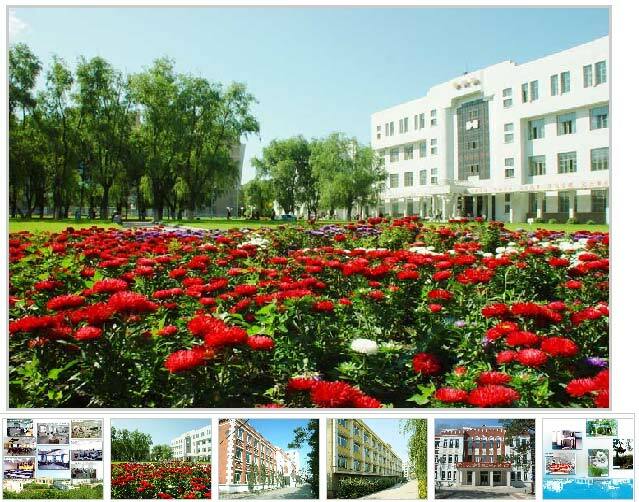 Suihua University has been considered as the base of Special education teacher training in HLJ province, which includes training talents in Biological industry and Russian language; additionally, as the testing center of green food in Suihua City.The following is a list of distinctions bestowed upon Suihua University over the years. In 1989, the National Excellent Teaching Award for Common College was awarded; 1990, the University gained “National Advanced Normal Institution” with eminence; 1998, it was named “Provincial Civilized Unit” by HLJ Provincial Government; 2001, it enjoyed the good name of “Garden Unit”; 2003, it won the honorary title of “Civilized Unit Example”; 2008, it was elected as the only model university on language standardization in HLJ province; 2009, the University received the national second-class award of teaching achievement for Higher Education. Accommodation: A free private apartment will be provided. The apartment includes two bedrooms, living room, kitchen and bathroom (With air-condition, TV, Bed, Sofa. etc.). free ADSL Access . Fridge, and cooking utilities. Paid Holiday: 2 days off per week; public holidays in China ;40-45days winter holiday in Jan and FebAir-ticket reimbursement: The school will reimburse the teacher the cost of round trip air-ticket on completion of the one school year contract.